The Nizari Ismaili state, also called the Alamut state, was a Shia Nizari Ismaili state founded by Hasan-i Sabbah after he took control of the Alamut Castle in 1090 AD. The state consisted of a nexus of strategic strongholds throughout Persia (Iran) and Syria, surrounded by huge swathes of hostile territory. The Nizari Ismaili state managed a unified power structure that proved more effective than the Ismaili Fatimid Caliphate in Egypt, or the Sunni Seljuq Empire, both of which suffered political instability. The state collapsed when Rukn-ud-Din Khurshah surrendered Alamut Castle to the invading Mongols. Most Ismaili Shias outside North Africa, mostly in Persia (Iran) and Syria, came to acknowledge Nizar bin Mustansir Billah's claim to the Imamate as maintained by Hasan-i Sabbah, and this point marks the fundamental split between Ismaili Shias. Within two generations, the Fatimid Empire would suffer several more splits and eventually implode. 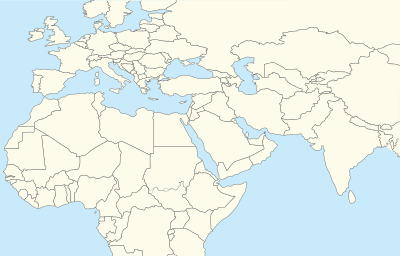 Location of several of the Ismaili castles in the regions of Alamut and Rudbar of Persia. Following his expulsion from Egypt over his support for Nizar, Hasan-i Sabbah found that his co-religionists, the Ismailis, were scattered throughout Iran, with a strong presence in the northern and eastern regions, particularly in Daylaman, Khurasan and Quhistan. The Ismailis and other occupied peoples of Iran held shared resentment for the ruling Seljuqs, who had divided the country’s farmland into iqtā’ (fiefs) and levied heavy taxes upon the citizens living therein. The Seljuq amirs (independent rulers) usually held full jurisdiction and control over the districts they administered. :126 Meanwhile, Persian artisans, craftsmen and lower classes grew increasingly dissatisfied with the Seljuq policies and heavy taxes. :126 Hasan too, was appalled by the political and economic oppression imposed by the Sunni Seljuq ruling class on Shi'ite Muslims living across Iran. :126 It was in this context that he embarked on a resistance movement against the Seljuqs, beginning with the search for a secure site from which to launch his revolt. By 1090 AD, the Seljuq vizier Nizam al-Mulk had already given orders for Hasan’s arrest and therefore Hasan was living in hiding in the northern town of Qazvin, approximately 60 km from the Alamut castle. :23 There, he made plans for the capture of the fortress, which was surrounded by a fertile valley whose inhabitants were mainly fellow Shi’i Muslims, the support of whom Hasan could easily gather for the revolt against the Seljuqs. The castle had never before been captured by military means and thus Hasan planned meticulously. :23 Meanwhile, he dispatched his reliable supporters to the Alamut valley to begin settlements around the castle. In the summer of 1090 AD, Hasan set out from Qazvin towards Alamut on a mountainous route through Andej. He remained at Andej disguised as a schoolteacher named Dehkhoda until he was certain that a number of his supporters had settled directly below the castle in the village of Gazorkhan or had gained employment at the fortress itself. :23 Still in disguise, Hasan made his way into the fortress, earning the trust and friendship of many of its soldiers. Careful not to attract the attention of the castle’s Zaydi lord, Mahdi, Hasan began to attract prominent figures at Alamut to his mission. It has even been suggested that Mahdi’s own deputy was a secret supporter of Hasan, waiting to demonstrate his loyalty on the day that Hasan would ultimately take the castle. 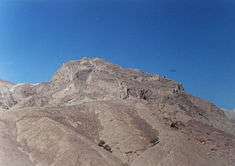 :23 The Alamut fortress was eventually captured from Mahdi in 1090 AD and therefore from Seljuq control by Hasan and his supporters without resorting to any violence. :24 Mahdi's life was spared, and he later received 3,000 gold Dinars in compensation. Capturing of the Alamut Castle marks the founding of the Nizari Ismaili state. Under the leadership of Hasan-i Sabbah and the succeeding Lords of Alamut, the statergy of covert capture was successfully replicated at strategic fortresses across Iran, Iraq, and the Fertile Crescent. The Nizari Ismaili created a state of unconnected fortresses, surrounded by huge swathes of hostile territory, and managed a unified power structure that proved more effective than either that in Fatimid Cairo, or Seljuq Bagdad, both of which suffered political instability, particularly during the transition between leaders. These periods of internal turmoil allowed the Ismaili state respite from attack, and even to have such sovereignty as to have minted their own coinage. "They call him Shaykh-al-Hashishim. He is their Elder, and upon his command all of the men of the mountain come out or go in ... they are believers of the word of their elder and everyone everywhere fears them, because they even kill kings." The Fortress of Alamut was thought impregnable to any military attack, and was fabled for its heavenly gardens, impressive libraries, and laboratories where philosophers, scientists, and theologians could debate all matters in intellectual freedom. 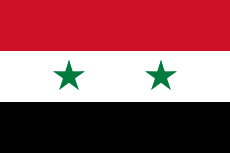 In Levant, Rashid al-Din Sinan announced independence of Masyaf from Alamut, founding a separate state in Syria. Map of the crusader states, showing the area controlled by the Assassins around Masyaf, slightly above the center, in white. The state had around 200 fortresses overall. The most important one was Alamut Castle, the residence of the Lord. The largest castle was Lambasar Castle, featuring a complex and highly efficient water storage system. 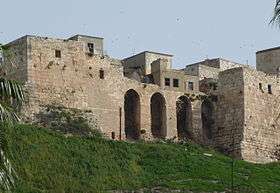 The most important fortress in Syria was Masyaf Castle, though the castle of Kahf was probably the main residence of the Syrian Ismaili leader Rashid al-Din Sinan. The military approach of the Nizari Ismaili state was largely a defensive one, with strategically chosen sites that appeared to avoid confrontation wherever possible without the loss of life. :58 But the defining characteristic of the Nizari Ismaili state was that it was scattered geographically throughout Persia and Syria. The Alamut castle therefore was only one of a nexus of strongholds throughout the regions where Ismailis could retreat to safety if necessary. West of Alamut in the Shahrud Valley, the major fortress of Lamasar served as just one example of such a retreat. In the context of their political uprising, the various spaces of Ismaili military presence took on the name dar al-hijra (place of refuge). The notion of the dar al-hijra originates from the time of the Prophet Muhammad, who fled with his supporters from intense persecution to safe haven in Yathrib. :79 In this way, the Fatimids found their dar al-hijra in North Africa. Likewise during the revolt against the Seljuqs, several fortresses served as spaces of refuge for the Ismailis. Map of the Hashashins in the Near East and their neighbors. During the mid-12th century the Assassins captured or acquired several fortresses in the Nusayriyah Mountain Range in coastal Syria, including Masyaf, Rusafa, al-Kahf, al-Qadmus, Khawabi, Sarmin, Quliya, Ulayqa, Maniqa, Abu Qubays and Jabal al-Summaq. For the most part, the Assassins maintained full control over these fortresses until 1270–73 when the Mamluk sultan Baibars annexed them. Most were dismantled afterwards, while those at Masyaf and Ulayqa were later rebuilt. From then on, the Ismailis maintained limited autonomy over those former strongholds as loyal subjects of the Mamluks. Knives and daggers were used to kill, and sometimes as a warning, a knife would be placed onto the pillow of a Sunni, who understood the message that he was marked for death. 1 2 3 4 5 Daftary, Farhad (1998). A Short History of the Ismailis: Traditions of a Muslim Community. Edinburgh: Edinburgh University Press. ISBN 9781558761933. 1 2 3 4 5 6 7 8 9 10 11 Willey, Peter (2005). Eagle's Nest: Ismaili Castles in Iran and Syria. London: I.B. Tauris. ISBN 978-1-85043-464-1. ↑ Daftary, Farhad (1998). The Ismailis. Cambridge, UK: Cambridge University Press. ISBN 0-521-42974-9. ↑ "Nizari Ismaili Castles of Iran and Syria". Institute of Ismaili Studies. Retrieved 11 February 2014. ↑ Hodgson, Marshall G.S. (2005). The Secret Order of Assassins: The Struggle of the Early Nizârî Ismâ'îlîs Against the Islamic World. Philadelphia: University of Pennsylvania Press. ISBN 9780812219166. ↑ Raphael, 2011, p. 106. ↑ Daftary, 2007, p. 402. Willey, Peter. The Eagle's Nest: Ismaili Castles in Iran and Syria. I.B.Tauris, 2005. ISBN 1850434646.